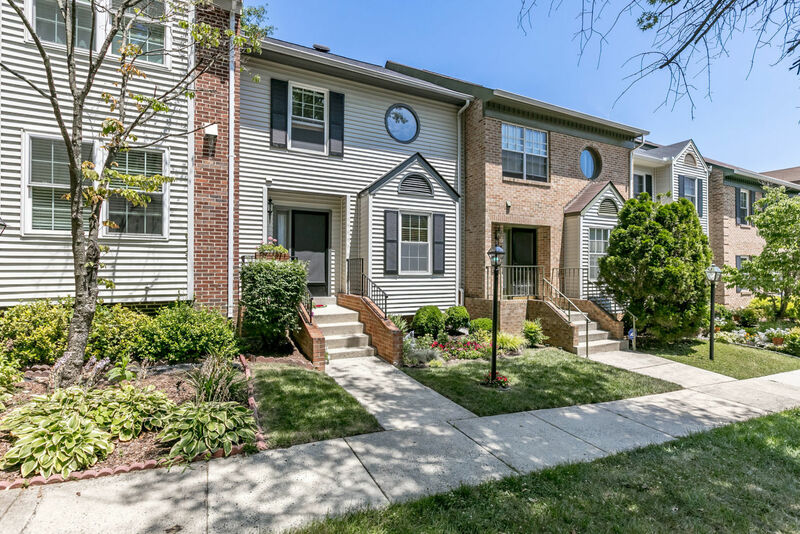 Just Listed — Van Dorn Village Alexandria Va 22310 6030 Crocus Ct. Wonderful Town House Just Listed in Van Dorn Village - "Runnymeade"
Unique property, unique neighborhood, unique opportunity. You have an opportunity to be among the first to see this wonderful home. Located in Van Dorn Village Alexandria Va 22310 yet this home is more associated with Runnymeade at Cameron Crossing because its design and floor plan more closely resemble the homes in Runnymeade and also because this small cluster of Van Dorn Village Town Houses are accessed through the entry of Runnymeade and not the entry of Van Dorn Village making them quite unique. This home and neighborhood have a distinctly suburban feel with lots of shade trees particularly near this cluster of town houses. While still being just 3 stop lights to 495 and minutes to 395, 95, and Fairfax County Parkway. There is a bus stop just a block from the home and there are two metro stations that are less than ten minutes away; Van Dorn and Franconia-Springfield which are both on the Blue Line. The home has been meticulously and lovingly cared for and updated. The Runnymeade and Van Dorn Village neighborhoods are part of a homeowners associations (HOA), town home communities located off South Van Dorn Street in the Alexandria section of Fairfax County, Virginia, 22310. Just moments to 495. A community of traditionally designed three- and four-level townhouses with both garage and non-garage options, situated among mature trees, conveniently located along the Capital Beltway as well as easy access to 395 and between two major Metro stations on the Blue Line the Springfield Station and Van Dorn Street Station and near the recently renovated Springfield Town Center and in close proximity to many grocery stores, parks, walking and biking trails, outstanding schools, fine restaurants, golf courses, a Top Golf driving range and numerous other amenities. Eighteen years ago I was very fortunate to have found the "perfect" house...The thing that I really like is that it's @ the end of a court that dead ends @ a wooded area with lots of birds and the occasional deer..There are also a lot of trees overlooking the deck which makes sitting outside very peaceful. It's very quiet and only the only traffic that passes my house are my 2 neighbors to the right...Best of all is that it's only 1 stop light and less than a mile to the Beltway & I-95. In addition, there are plenty of unreserved parking spots for non residents in the lot. Once you're out of the neighborhood, you have your choice of various grocery and drug stores (Giant, Safeway, Walmart, CVS, Rite Aid) and gas stations all within 1-2 miles..There are plenty of restaurants to choose from and the Springfield Town Center is less than 3 miles..Movie theaters and a couple golf courses are close by as well. You have your choice of 2 Metro stops, Van Dorn (1 mi.) and Franconia/Springfield (3 mi.) and a bus stop right on the adjacent street that takes you to both and along various routes in the area. Edison High School is less than a half mile away and there are bike lanes along many of the streets that take you to various trails in the area. So close to Old Town Alexandria shops and restaurants the Lee District Rec. Center is less than 2 miles away and you're only 6 miles from the WW bridge that takes you to the National Harbor & the MGM casino.